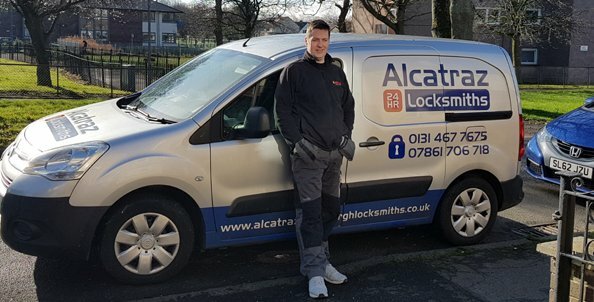 Based on the fringe of the Edinburgh city Bypass, we are perfectly located to deliver a rapid 24 locksmith service to the town of Penicuik. whether its day or night, we aim to be with all customers within 30 minutes of receiving the call. All work is fully insured, and all locks fitted comes with a one year warranty. We are a small business, with next to no overheads. This means we can to provide a Locksmith Penicuik service, which the bigger companies cannot match. Often our prices are under half the price of the big national companies, and significantly lower than most local companies. Is someone in your family always losing keys? If the answer to this question is yes, maybe you should have a key safe installed at your property. At Alcatraz locksmiths we can install a high security key safe outside your property. They are fixed into a wall with rawl plugs, which are concealed inside the box. The box is opened by entering the correct code into the dials, which can be changed at any given time by the owner. Somewhere to leave a key for people working in the property. After the works are complete, The key safe can have the code set to a new configuration. A place for children to retrieve keys, if their parents are at work. If a property is being let out, a guest can leave keys in the key safe when departing. This means the owner doesn’t have to be around for departures. Storage for spare keys in case the owner loses their keys. 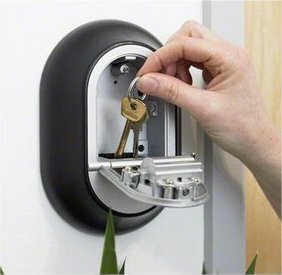 For any further information regarding a key safe installation, or any other locksmith service, give us a call today.